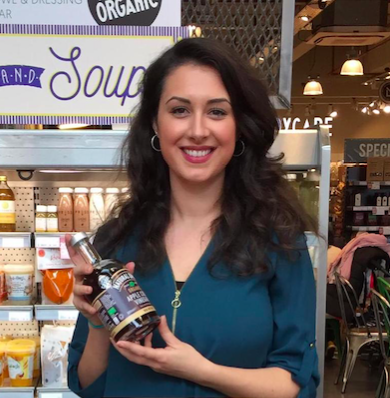 Natural Umber wins business with Planet Organic in London | Food NI - Our Food So Good! Deliciously different apple cider vinegar Natural Umber in Northern Ireland has launched its new glass bottles with the enormously popular London high street store and website, Planet Organic. Food NI member Natural Umber is a completely unique and apple cider vinegar produced near Dungannon in Co Tyrone, which won three Great Taste Stars and the coveted Golden Fork for Northern Ireland in 2018, from the Guild of Fine Food in London. Fermented differently to other apple cider vinegars, Natural Umber retains the natural sweetness of apples. Founded in 1995 by Renée Elliot, Planet Organic has been offering the widest range of organic foods to customers throughout London, promoting health in the community and a sense of discovery and adventure in shopping. The Planet Organic website stocks an extensive range of delicious organic products. Planet Organic has launched Natural Umber with 14 in-store tasting sessions during the month of February. Added to that, they’re offering a special 15 percent discount both in-store and online. The launch of Natural Umber with Planet Organic heralds further growth for the Tyrone-based producer, Mackle Apple, which has over 50 years’ experience, growing and producing apple products. Managing director Michael Mackle, says: “We are delighted to launch with Planet Organic in London and we have no doubt that their customers will really enjoy the unique flavour of Natural Umber.